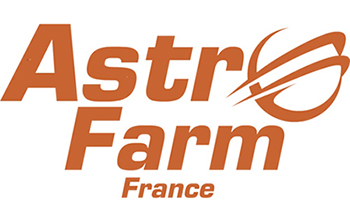 Although Astrofarm was developed as an astronomy centre, the area around Confolens is packed full of opportunities for days out, visits and the pursuit of a variety of other interests. The region boasts fascinating historical areas and stunning landscapes with a choice of rivers, lakes, forests supporting an abundance of bird and wildlife not seen in the UK. The town centre of Confolens is just 2 km from Astrofarm. There is plenty to do in the town and close surroundings without venturing too far! You can find up to date information about local activities on the Confolens town website here. The town centre itself is a delightful medieval market town and you can easily spend an afternoon exploring the winding streets, cobbled walkways and breathtaking climbs. Here at Astrofarm we have maps of town with suggested walking routes with information and places where you can stop, rest and refresh with a drink or something to eat. Our top recommendation is the Arthe café alongside the river where you can try Mary’s world class cheesecake with a tea, coffee or glass of wine. The Velorail is 5 person bike carriage which is powered by 2 people cycling and takes you on a stunning 16 km journey through the countryside on the old railway line. If you prefer a lazier trip then the restored diesel train runs trips in the summer and at Christmas on the same line – a more relaxing afternoon. During the summer Confolens has a fantastic open air swimming pool open to the public. With pools, slides and paddling pools this is a lovely place to spend a hot afternoon. If you are still feeling energetic then the summer also sees the canoes, kayaks and pedalos on the river for either a gentle hour on the river in town or for the more adventurous a trip down river to St Germain de Confolens. We have three well marked cycle loops in Confolens, each loop has 3 different levels of difficulty. Pick the distance and terrain most suited to your level of fitness! You can download all the maps here WestBoucle43 Boucle42 and Circuit Confolentais. At Astrofarm you will find laminated card copies of the maps to take with you on your ride. Or for those looking for a bigger challenge you can complete Le Tour de Charente (or sections of it), a just under 400km circular route around our region passing through wonderful villages, small towns and beautiful countryside. All year round we offer bike hire from Astrofarm in partnership with www.bikehiredirect.com. We just ring and let them know what bikes you want and they are delivered right here to Astrofarm! The French countryside around Astrofarm provides a myriad of pathways and walks through woodland, open country, alongside rivers and through little villages and hamlets. We can provide walking maps and routes, recommendations and transport for drop off and collection. Our lovingly restored cinema has a great choice of films for all ages and interest many subtitled in English. A wonderful way to improve your French whilst enjoying your favourite movies! Twice weekly markets are a feature of our market town and throughout the year we have special local producer’s markets and the annual animal fair in the summer. Car boot sales are a regular event in town and the surrounding villages. There seems to always be something musical happening in town! From concert and bands at Ferme St Michel, a stunningly restored barn now our village hall to open air concerts every Friday nights in July and August, choral groups, drum and pipe bands for the festival of music for Mid Summers Eve. And of course we have the world famous International Music and Folk Dance Festival held every year in August with parades, dancing and music from worldwide performers. We have an arrangement with a fishing lake Etang Brillac close to Confolens, run by Englishman Steve Withington. The 7 acre lake is open all year round and costs just €10 for a day fishing and equipment can be hired from the fishing centre for a small charge. We can provide minibus transport to and from the lake. There is a riding centre in town for novices and more experienced riders. They do not yet have a website but we will be happy to call them for you to make enquiries about prices and availability. Saint-Germain-de-Confolens is a small village on the meeting of the Vienne and Issoire rivers just a few kms from Astrofarm. Although a strenuous walk to the top, the castle and views are well worth the effort. The village itself with craft rooms and, beautiful houses and a stunning riverside setting is a lovely way to spend an afternoon.